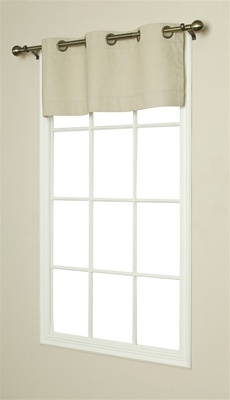 Regular Price $22.95 - $154.95, Now $19.50 - $131.70. 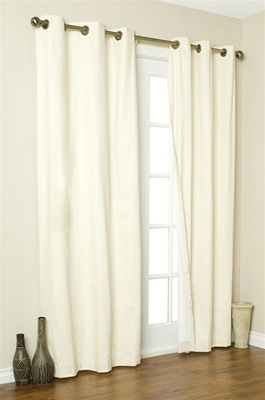 Insulated Curtains - Save money on heating and cooling costs with our insulated Curtains. Keep out drafts In the winter, keep out heat In the summer. 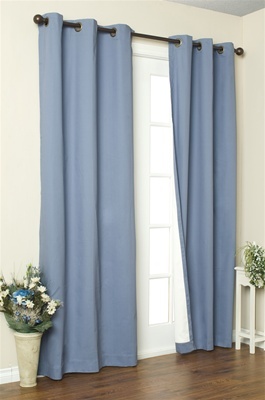 Helps to filter out light and reduce outside noise. Get more restful sleep day or night, thanks to darker sleeping areas. 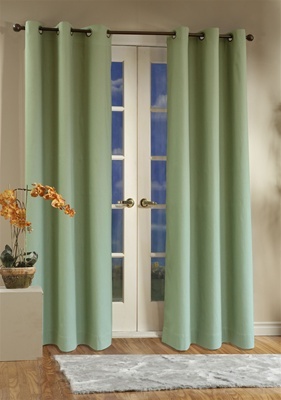 Insulated curtains are great for media rooms because they reduce the the reflections on computer and TV screens. Grommet top pairs have 12 grommets 1 1/2" diameter. 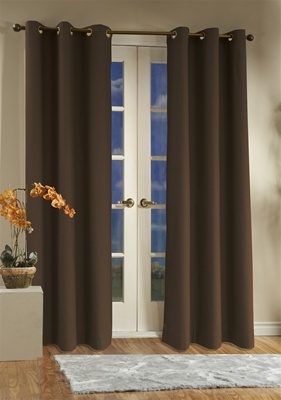 We recommend 80" pairs to cover up to 52" of window space and 160" pairs to cover up to 102". Machine washable 100% cotton "duck cloth" with acrylic suede lining. Delivery to your home or office in 10-14 days. 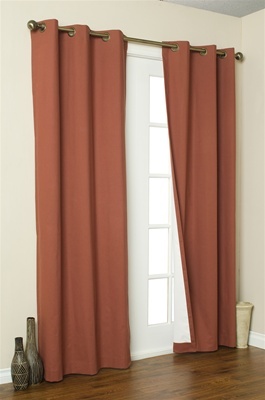 Looks great with our designer rods and finials Drapery Hardware.